Prestigious awards from the organizers received more than 200 specialists of the industry. 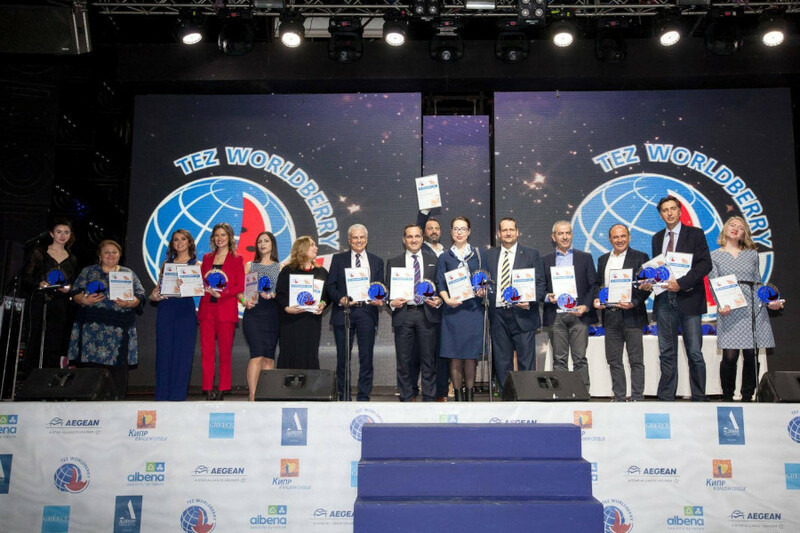 The general partners of the event were the popular Greek hotel chain Aldemar Resort, the Greek National Tourism Organization, the Ministry of Tourism of the Republic of Cyprus, Aegean Airlines and Albena Resort Complex (Bulgaria). Among the honored guests on the stage the Consul General of Greece Eleni Vakali greeted the participants. The Consul, thanking the organizers for the consistently high level of preparation for the event, positively noted how widely this year another destination of the company was represented on the ceremony – Cyprus. She wished Cypriot colleagues and all the participants of the celebration a huge success in the upcoming season. Natalia Weber, the Director of marketing and PR at Aldemar Resort, continued the warm greetings for the guests, noting that the chain of hotels has been the general partner of the award for the fourth year in a row. The Minister of Tourism of the Republic of Cyprus, Savvas Perdios, thanked TEZ TOUR for successful cooperation in the region, recalling how cordially the island of Aphrodite always welcomes the tourists from Russia. prestigious awards for the representatives of the tourist community. It was established by the company's founders Alexander Sinigsky and Alexander Burtin to promote TEZ TOUR partners on the Russian market and B2B sphere.